CeDell Davis, a Delta bluesman from Arkansas who used a knife for a guitar slide, died on Wednesday. His Facebook page confirmed the death. He had been hospitalized since Sept. 24 after a heart attack. Mr. Davis spent decades performing around the South at juke joints and house parties before a broader audience got a chance to hear his electrified rural blues in the 1980s. His voice was a grainy moan as he sang about woman troubles and hard luck; his guitar could drive dancers with boogie and shuffle beats or play leads that were lean and gnarled, gliding smoothly and then coiling into a dissonant sting. After childhood polio constricted his hands, he developed his own technique of using a knife along the fretboard of his guitar. The New York Times critic Robert Palmer called it “a guitar style that is utterly unique, in or out of the blues." Mr. Davis was born Ellis CeDell Davis in Helena, Ark., on June 9, 1926, though some sources say it was 1927. 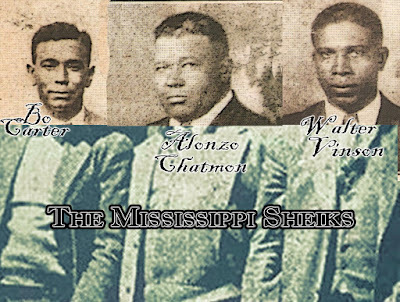 His mother was known as a faith healer, and his father ran a juke joint. Although his mother thought the blues was devil’s music, he took to the style early, starting on diddley-bow, a one-stringed instrument made by nailing a wire to a wall. He moved on to harmonica and guitar, often sneaking into juke joints to listen to music. He contracted polio when he was 10, leaving him with partly paralyzed arms and legs and requiring crutches to walk. But he was determined to stay with music. He told Mr. Palmer: “I was right-handed, but I couldn’t use my right hand, so I had to turn my guitar around. I play left-handed now. But I still needed something to slide with, and my mother had these knives, a set of silverware, and I kind of swiped one of them." He reinvented his playing using the handle of a table knife. “Almost everything that you could do with your hands, I could do it with the knife,” he told David Ramsey this year in the magazine The Oxford American. “It’s all in the way you handle it. Drag, slide, push it up and down." 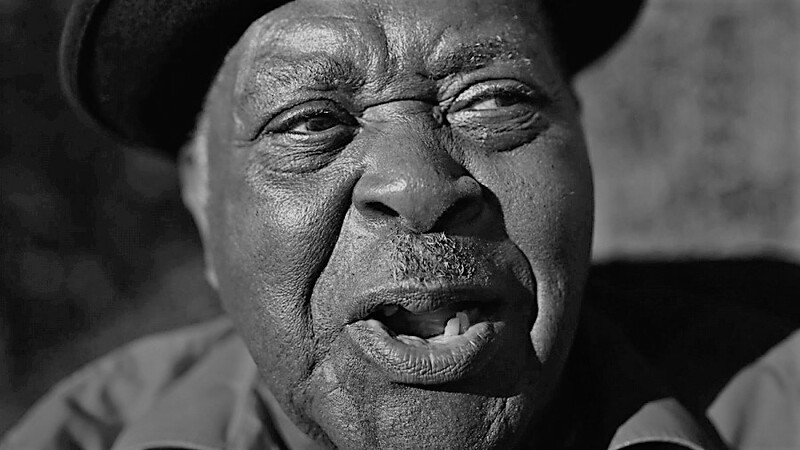 As a teenager, Mr. Davis played street corners and juke joints around Helena, which at the time was a bustling Mississippi River port, “wide open” with gamblers, bootleggers and honky-tonks, Mr. Davis recalled in the 1984 documentary Blues Back Home. There he met some of the era’s leading blues musicians and started appearing on two live blues radio shows on KFFA in Helena: “King Biscuit Time” with Sonny Boy Williamson and “Bright Star Flour” with Robert Nighthawk, a fellow slide guitarist. From 1953 to 1963, he and Mr. Nighthawk performed together, and they moved for a time to St. Louis. Mr. Davis was further disabled in 1957 when he was trampled after a brandished gun led to a stampede at an East St. Louis bar where he and Mr. Nighthawk were performing. Multiple leg fractures left him using a wheelchair. He continued to work the juke-joint circuit. In the early 1960s he moved to Pine Bluff, Ark., where he would live for decades until moving to a nursing home in Hot Springs, Ark. He made his first recordings in 1976 for the journalist and folklorist Louis Guida; they appeared on the 1983 collection Keep It to Yourself: Arkansas Blues Volume 1, Solo Performances. Mr. Davis had a stroke in 2005, after which he could no longer play guitar. But he continued to sing, and though he was already living in a nursing home, he returned to performing in 2009. He released two more albums, Last Man Standing in 2015 and Even the Devil Gets the Blues in 2016, recorded in Seattle with Mr. Martin producing and a band that included Mike McCready from Pearl Jam. Mr. Davis told The Oxford American that he had been married twice, had two children and had helped raise stepchildren. He said he had lost touch with the children. He was scheduled to perform on Oct. 6 at the King Biscuit Blues Festival in Helena.